They’ve won awards and impacted the lives of their readers with their work. But how do they do what they do? I asked and they spilled their secret of how they turn ideas into successful and inspired books. My typical day…does not always include writing. Haha! I have a full-time job with a nonprofit I love, so writing is something I fit into the margins of my life. And, in fact, more often than not, I save writing for Saturdays and long weekends or even the occasional full week away from work. No more late night weekday writing for me! Because—confession—I think I’m getting old! When I’m writing, I do my very best to unplug from the outside world. I turn off my wi-fi. I either hide my phone or delete all the social media apps off of it so I won’t be tempted to while away my time on Facebook. I usually either write at home (in my flannel PJs of course!) or sometimes I go to my parents’ house. They live in the country and there’s just something about being in their sunroom, surrounded by pretty trees, that helps me write faster and freer. Every once in awhile, I’ll go to a coffeeshop to write—but I guarantee you that when I write in public, I will embarrass myself at least once by accidentally speaking out loud my dialogue as I’m writing it or getting overly excited about a scene and knocking over my cup of coffee! 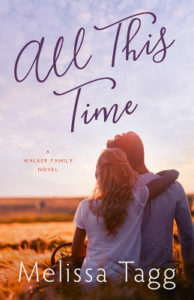 Melissa Tagg is the author of the popular Walker Family series, among other books, who frequently falls in love with her own characters. Visit Melissa’s website to learn more! I work full-time outside the home as a pediatric speech-language pathologist – which means from about 7am to about 4 or 5pm, I’m usually hanging out with about fifty cool kids who need my help. 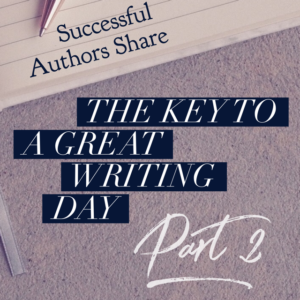 After that I come home to my own 5 kids, who may or may not need my help I usually write in snippets of snatched time throughout the day (lunch break, while cooking dinner) or for longer periods of time later in the evening – usually after 8 or 9pm. My go-to drink is a good-old southern iced tea or, if it’s nippy out, a wonderfully creamy hot tea. Chocolate is always welcome and I have a very deep love of raw cauliflower. I’m also creatively-inspired by movies, music, and research. 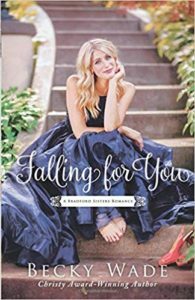 Pepper Basham is the author of historical and contemporary kissing books…er…romance with a couple of 4 ½ star Top Pick RT reviews and an RT final with her historical romance, The Thorn Healer. 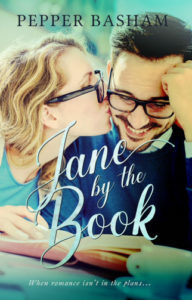 Her newest novella, Jane by the Book, is included in the Once Upon a Laugh compilation. Check out Pepper’s website for more info! I’m the tortoise, not the hare! I don’t write in bursts of inspiration and fervor. Instead, I start a new novel each fall when my three kids go back to school after summer vacation. Then I work steadily on that novel during their school hours all year long. I set weekly and monthly goals for myself which really help to keep me on pace. Each spring, I turn my novel in right around the time when school lets out. My typical day: drive morning car pool, answer email, attend to social media and marketing, tick items off my business and family To Do list, sneak in a yoga class if I have time, then write until afternoon car pool. My approach isn’t flashy but it gets the job done and allows me time off in the evenings and on weekends to rest, concentrate on my family, read, walk the dog, watch TV, and attempt to catch up with the never-ending grocery shopping. So—I hate writing. That felt good to say. Now, I absolutely love planning books and being an author—brainstorming the idea and planning the structure. And oh my, this author thing truly is a dream come through when the ideological author-moments happen—secluded cabin deck, aroma of Haitian coffee, sophisticated singer-songwriter on the headphones, and rattling off a few Donald-Millerish paragraphs or the two-hours straight of booking signing. But again, I hate writing. Writing is a chore for me–a chore deep in the middle of the jungle that each day I have to machete my way to find pr oductivity. But finally, after hours of web surfing, YouTube retro wrestling videos, and a half a Netflix series—I’m flowing. I’m at my best navigating that jungle when I’m going to bed on time, waking up early, solid devotional time, and then a consistent hour and a half writing session each day. But reality is seventy-two hours will pass with maybe five hours of rest, my desk covered with coffee mugs and Dr. Pepper cans, haven’t showered or changed from my athletic pants, Punisher shirt, and backwards Razorbacks’ cap, and my headphones are thumping from my finely cured Pandora stations, as I struggle with the temptation to send the proposal to my agent without editing. 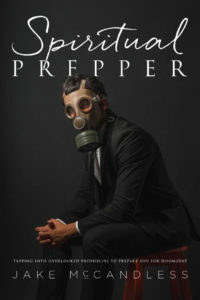 Jake McCandless is the award-winning author of Spiritual Prepper. Head over to his website to learn more about Jake and his work. If you haven’t, be sure to sign up for my newsletter below. 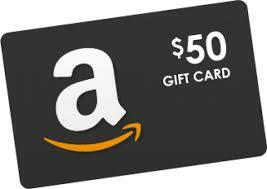 You’ll receive one quarterly email with important news, fun extras, and automatic entry into my giveaway of a $50 Amazon gift card! Next drawing is September 1st!